Offering you a complete choice of products which include urinal screen bravo walex, bio purinel, auto sanitizer and purinel auto sanitizer. 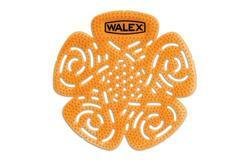 Our offered Urinal Screen Bravo Walex is a powerful deodorising performance oriented screen with strong fragrance release that lasts really long. Its universal design and shape provides superior fit in all urinal styles with a ribbed surface designed to reduce splashing. 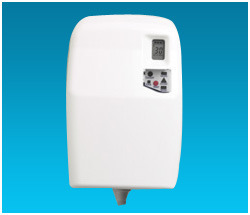 Moreover, this is an economical odour control system that is available in several flavours. 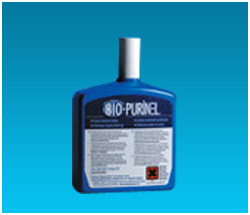 Our offered Bio Purinel is formulated to keep toilets and urinals clean fresh and germ free. Moreover, , it works like an automatic cleaner, continuously removing stains from surfaces, killing germs, keeping pipes and rains free of uric scale and deposits. This is definitely an ideal solution for problems in urinals that are frequently used but infrequently flushed. Bio-Purinel works by introducing friendly bacteria enzymes that eat away at uric scale deposits, making them easier to flush away. It also prevents further build-up occuring. Bio-Purinel is ideal for use with septic tanks because the formulation does not upset the natural balance. Our offered Auto Sanitizer is a one stop solution for washroom hygiene and odour control. Moreover, it inhibits the proliferation of bacteria and it prevents the pipes from becoming obstructed. It ensures a complete interior cleanliness. It’s a continuous dispensing system connected to the flush tank, which cleans the toilet, remove stains and urinal scales, eliminate bad odours and prevents blockage. Automatic constant and continuous cleaning of all ceramic surfaces exposed to flushing. Available in white, chrome, satin or gilt covers. Dispenser size: 202mm (h) x 118mm (w) x 80mm (d). Fully programmable digital features: Based on selecting the number of days to refill replacment. State of the art programming technology that meets individual dispensing requirements including selecting the number of days to refill replacement and the hours of operation (8, 12, 16 or 24 hours, 5-7 days a week). Safe formulations that are 100% compliant with EC legislation. 5 year guarantee on dispenser. Material safety data sheets available. Our offered Purinel Auto Sanitizer is formulated to kill up to 99.3% of bacteria and germs in the first flush itself. Its long lasting concentrated foam removes unsightly stains, attacks hard water deposits and prevents scale and stains from forming. Moreover, it ensures urinals and toilets are always clean, odour-free and presentable. Purinel is a strong, acid-based cleaner that is designed to sanitize and clean surfaces, kill germs, attack hard water deposits and prevent scale and stains from forming. Although it is an acid-based formulation, it is safe to use and kind to pipework. 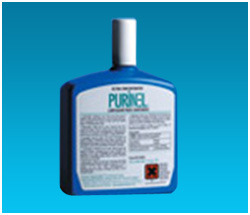 Purinel is extremely effective in killing a broad spectrum of bacteria very quickly. In the first flush it will remove up to 99.3% of germs and bacteria that are lying on the surface and produces a thick foam that dissipates slowly after every flush.